KW Automotive have been producing suspension systems since 1995. Born on the track, raised for the street, KW is one of Europe's leading suppliers of suspension systems. KW offers suspension solutions for nearly every vehicle application. 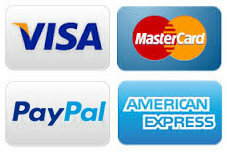 With KW's three product lines they cover all the requirements of the market. KW anti roll bars are thicker than the factory bars reducing body roll and greatly improving overall handling. KW supplies these up-rated roll bars individually or as a front and rear kit. Most of the KW Automotive anti roll bar kits feature two adjustment holes so you can adjust the ride quality. The KW Clubsport are designed for fast road and track day use. These feature 2-way adjustability, with 16 precise clicks adjustable rebound damping, 6 clicks in low-speed range and 14 precise clicks in the high-speed range adjustment. The ideal coilovers if you are looking to rely on the experience the KW engineers to set the damper rating for the best balance between sporty driving, comfort and safety, but still be able to adjust your vehicles height. The KW V2 coilovers if you are an experienced driver who not only wishes to determine the height of your vehicle, but also wants to adjust the damper rebound allowing control over the pitch and roll behaviour of the vehicle to adapt to your own requirements. 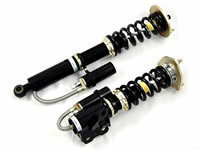 KW V3 coilovers feature state of the art technology from motor sports for more performance on the road. They include separate and independently adjustable rebound and compression damping allowing you to setup the suspension for different uses and preferences.